Wine bottle light. 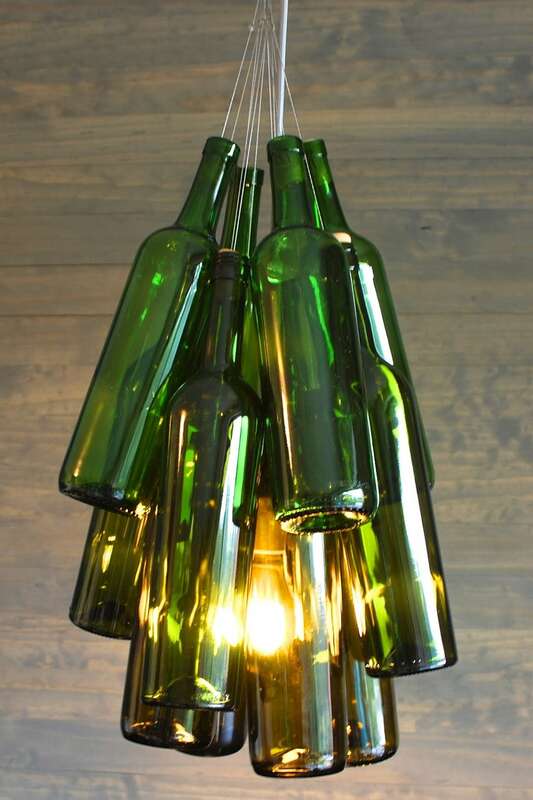 Set of 8 bottles with one light in the middle. Comes with 12 feet of cord! Takes a standard base bulb!